Vintage comic book anniversary milestones are my very favorite kind of nerd holiday. I’m not much of a convention guy (yeah… I know, I know), and of course I love collecting and talking about old paper, so the big gold and silver age anniversaries are definitely my thing. I’m always curious to see what the publishers have planned for them. Superman’s 80th anniversary this year felt a little underwhelming, gotta say, particularly since Warner Bros and DC have usually made a very big deal out of the major milestones for that character. I liked Action Comics #1000 well enough… although a big part of the reason I bought it was because I was utterly certain that continuity nerd Geoff Johns was going to give us a definitive answer about that car. And maybe he did… except the lettering covered every panel in which the rear wheel wells were visible, which would’ve been the key giveaway as to the car’s make and model. Ah well. Of course, I did end up determining that this year was actually Superman’s 81st birthday, according to DC’s own documentation. So maybe a low-key year was all for the best. Still, the issue was a solid enough marker of the first mainstream American comic to hit #1000 since Dell’s Four Color did so in May 1959. Four Color Comics #1000 featured a comic book adaptation of the short-lived TV series The Gray Ghost, which was about Confederate Army Major John Singleton Mosby, and… well… right from the jump, I can tell you that Mosby was not known as The Gray Ghost during the Civil War, and that name probably wasn’t associated with him until well into the 20th Century, which doesn’t give me an abundance of hope regarding the accuracy of the rest of the Mosby legend, and I’ll want to do my own research before I comment more. But suffice it to say that the comic and the TV series are artifacts of their time. 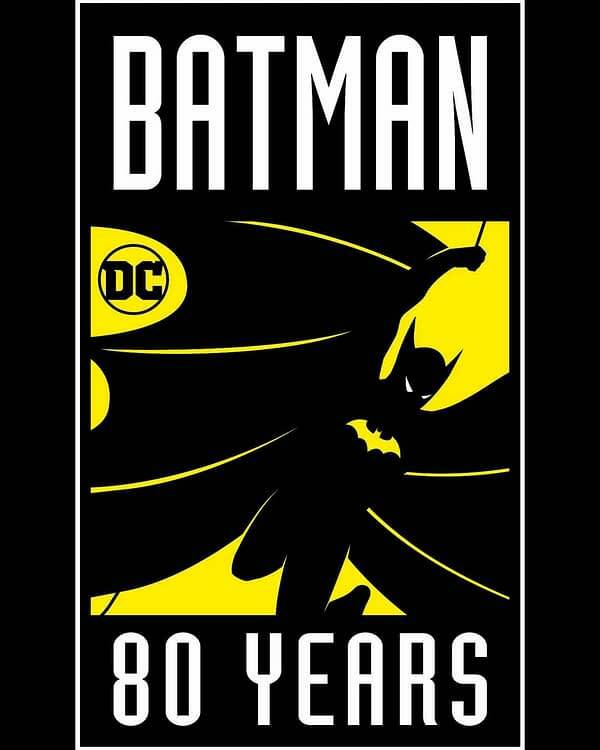 The fascinating twists and turns of comics history aside, I’m very pleased to see that DC Comics appears to have an early jump on Batman’s 80th anniversary doings. They’ve done yearly “Batman Days” around this time of year ever since the 75th Anniversary, and this time around, it looks like we’re getting an early glimpse of what they’ll be doing next year for Batman’s 80th birthday. It all sounds promising so far. The Batman Who Laughs is a call-back of sorts to one of the inspirations for the Batman mythos. (and I’ve got a series of posts coming up on that inspiration later today that you’re not gonna believe). Batman #75 is part of some big plans, it appears. Detective Comics #1000 marks yet another milestone for American comics’ longest-running series. Detective Comics: 80 Years of Batman Deluxe Edition – not too many details there yet, but pleased to see they’re doing it. Detective Comics #1-26 Omnibus Hardcover Editions are coming at last. No Batman, but still extremely cool. And I’m certain we’ll be hearing more tomorrow when DC solicits hit, and more still at NYCC. Looking back at BC’s posts during Batman’s 75th Anniversary, DC set a pretty high standard to mark the occasion in 2014. Gotham and Batman v Superman were in production (and wow does that seem like a lifetime ago now), and they held several events for the anniversary throughout the year. We did posts covering Batman’s 75th Anniversary for several months. 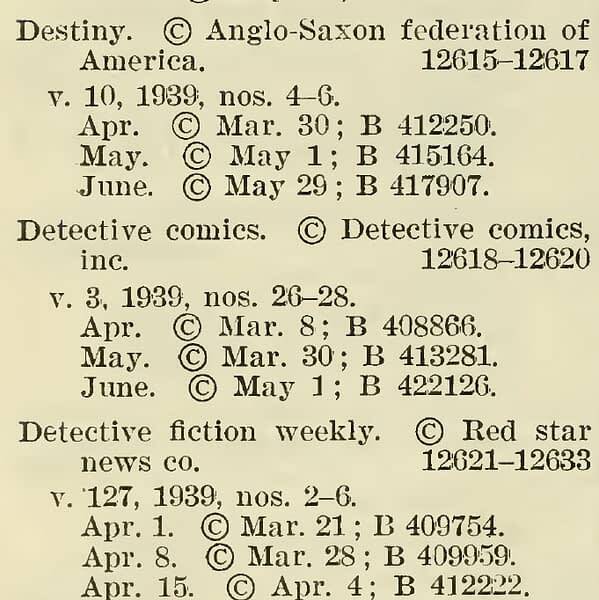 The history nerd in me hastens to remind you that the actual 80th anniversary of Batman’s first appearance in Detective Comics #27 is March 30, 2019, which is the month and day recorded in the Library of Congress’s Catalog of Copyright Entries 1939, Periodicals – New Series, Vol 34, Pt 2. I guess DC Comics can still celebrate in September, if they want. That aside, sorry/not sorry, but according to a Batman search at the Grand Comics Database, Batman has appeared in approximately 47,845 stories over the past 80 years — give or take a few reprints, collected editions, and so on — and that’s going to give me an awful lot of comics history to talk about over the next several months. Not that I need an excuse.